Bought the parts last night. Was planning to get everything so I got a friend of mine to help me carry everything back. But we started shopping a little to late and ended up buying everything except the chassis. So no fun for me until I get one later today. At first, I wanted to get a i7-920 CPU because of triple channel memory. 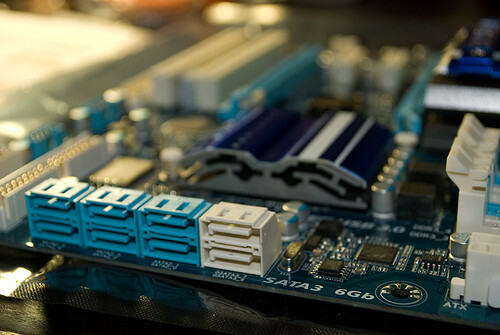 But then I learned about this motherboard which supports SATA 3.0 and as you can see in the image above, “4x speed via RAID 0”, which won me over. Because my main gaming computer is running on RAID 0 WD Raptors. 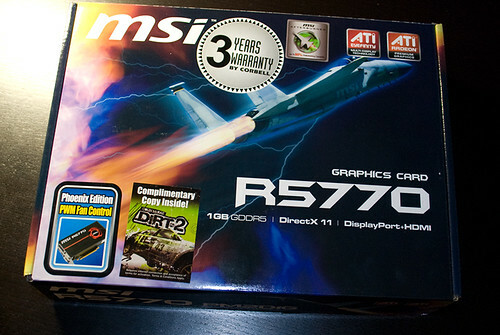 But this motherboard does not support the i7-900 series CPU so I went for the alternative i7-860. Price range is close. Chose a cheap 5770 card for now. Waiting for 5870 to be cheaper before I go for a pair of those. Didn’t expect this PSU box to be so huge. But the actual unit is normal in size. 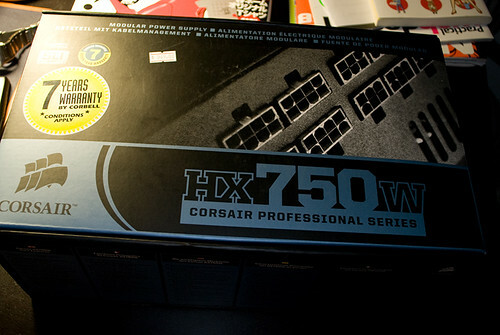 Got this because of the 7 years warranty, modular cables, and enough juice for running dual graphic cards in future. 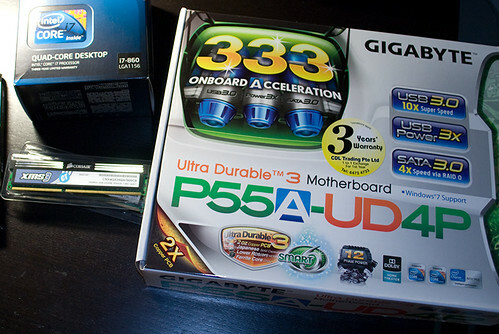 Can’t wait to setup everything and play with my new computer. However, it will be a huge chore to backup everything and restore them after getting windows back up.